The Espalier Shop manufacture espalier frames to suit your needs. 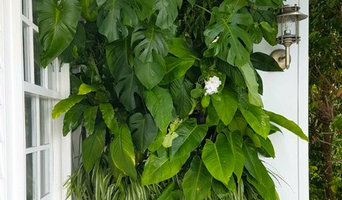 Our customized frames provide a rust free, steel foundation to grow plants, fruit tree, vines or trees along when space is limited or a formal garden design is required. The plants can then be shaped to your desire. 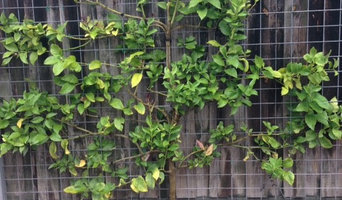 Our espalier frames are commonly used to line driveways, hide unsightly walls, bins or heater/air-conditioning units, divide areas within a garden or are a solid foundation to hang a vertical garden on. We really enjoy working to create transformations in all of our garden projects. We pride ourselves on coming up with good solutions that will not only fulfil your brief but execute your project in a timely manner. I have a committed team of employees who give their all to produce only the best quality work. We always follow up on any issues that may arise after the project is complete so that your garden will forever be a thing of delight. I never compromise quality for time and give my clients realistic schedules that accommodate their lives. A well designed and maintained garden is a considerable asset and our philosophy is to create sophisticated, enduring gardens that compliment the home and provide great enjoyment to those spending time in it. Grounded Gardens is a garden design, construction & maintenance company is based in Armadale, Melbourne. We provide functional & sophisticated landscape solutions, creating gardens that suit our way of life and are designed to last. 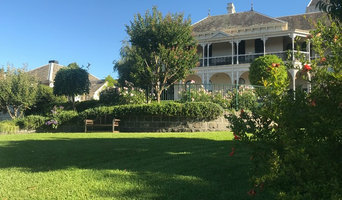 We create gardens in spaces large and small; transforming inner city courtyards & suburban backyards for established and new homes, country and coastal properties, permanent or holiday homes. Established 10 years ago by Cameron Paterson, Grounded Gardens has grown to attract home owners who have a love for their outdoor spaces. By working closely with our clients to understand their lifestyle & tastes, by installing and maintaining the gardens we design, Grounded Gardens are known for our finely tuned and appealing landscape service. We welcome the opportunity to speak with you about how we can maximise the potential of your outdoor space. We have more than 40 years of experience in designing and constructing quality landscapes for people in Melbourne. Our team of professionals offers out of the box landscaping solutions for domestic and commercial sectors in Melbourne and the surrounding area. From start of the project to completion, we keep our clients up to date regarding the status of the project in building the beautiful landscaping experience. Our landscape design project begins with briefing, design process; quote arrangement and final consultation required in beautifying the landscape you desire. We transform your vision into reality with the help of professionals who always assist with excellent advice from time to time. Several of our projects are constructed with domestic as well as international stones including dry stone walling, cladding, veneered stone walling and more. Get in touch with us to begin with your landscaping project in Melbourne. Melbourne based Landscape designers specializing in the creation of personalized garden spaces incorporating plants, hard surfaces, pools and al fresco entertaining areas. Director James Seyffer is an award winning Landscape Designer, winning an award at the Melbourne International Flower and Garden Show in 2011. His design showcased his love for plants, variation in natural textures and hard surfaces. During 2012 to 2015, James was the leading landscape designer for a high-end pool company. 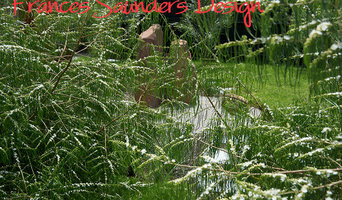 During this time, his design portfolio comprised of formal, contemporary and native garden styles. James is also a qualified tradesman in landscape construction and horticulture. His appreciation of construction and plant knowledge complements his passion to create unique designs. Greenside Landscapes team have undertaken extensive training in landscape construction & garden design. They have worked closely with some of Melbourne’s most reputable landscape construction companies. Greenside Landscapes deliver an attention to detail and quality of workmanship that can only come with many years of experience. At that time everyone wants to make their landscape beautiful and appealing in Melbourne and at that time we are come into play. We at Anthony Scott Landscape Design are always here to provide you remarkable designs at affordable price. With our unique designers with extensive experience in this industry built beautiful designs that attract clients towards our service. We make a strong long-term relationship with our clients by providing them excellent quality of service at economic price. We transform your home in an excellent way so that you can admire our service and always come to us whenever you want any type of designing service. 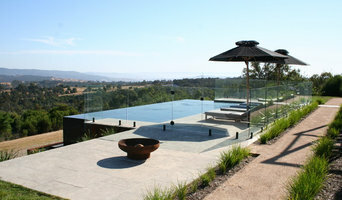 Colombo Design Partnership (CDP) offers complete landscape architecture, landscape design, construction and maintenance. For over the last 30 years, Director, Tim Rayson, a qualified Landscape Architect and Member of the Australian Institute of Landscape Architects, has worked with some of Australia’s leading landscape architecture firms including Tract Consultants and Conybeare Morrison. Tim offers extensive experience in corporate, commercial, residential and public realm projects. Tim works with many of Melbourne’s leading architects, interior designers and landscape designers such as Jack Merlo, Rick Eckersley and Taylor Cullity Lethlean (TCL) who appreciate CDP’s understanding of their design intent and our aim to meet their needs and maintain the integrity of the overall vision. Our involvement has covered private, municipal, institutional and commercial projects, both as principal and consultants. CDP offers design analysis, detailing, plant and material selection, budgeting, cost analysis, tendering administration, project management and construction. CDP works within a wide range of given parameters, whether environmental, architectural, or budgetary, to produce creative and functional solutions. We enjoy exploring and creating new landscapes from innovative products, plants and materials. Our designs are underpinned by the idea that ‘gardens are for people’ – spaces to be enjoyed and used as well as viewed. With this in mind, we aim to design a solution that combines logic, individuality and functionality.